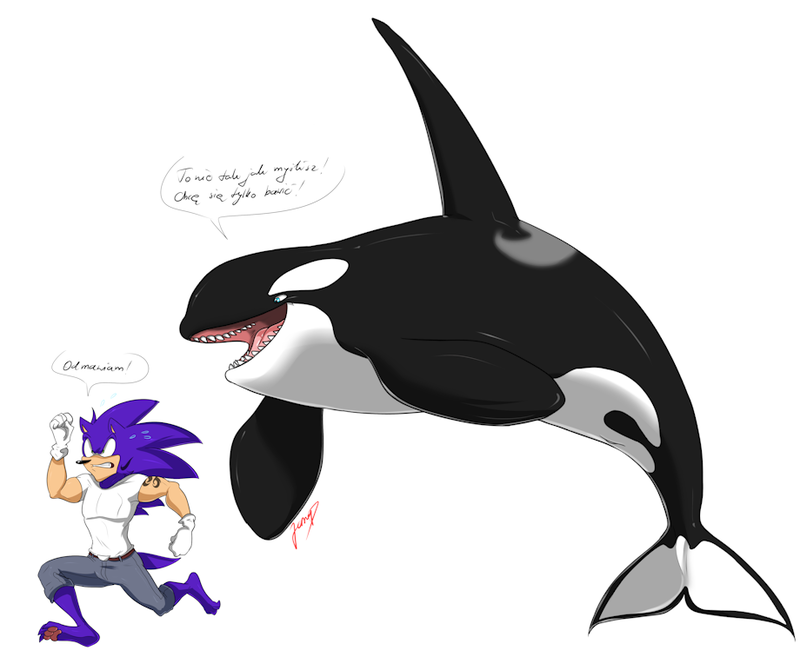 *Orca - "This is not what you think! I just want to play!" He just wants to play.. ;___; really..
Hahaha! this is so adorable!!! Oh man if only I had the money I would ask you if you could draw an Anthro Orca friend of mine. Or even a feral Orca for a different friend. Should I just send you the ref of my friends Anthro Orca?